An aphid infestation which threatens the sabra fruit and cacti, national symbols of Israel, has been discovered in the Hula Valley located in the northern part of the country. A team of researchers from Jewish National Fund, Plant Protection Services in the Ministry of Agriculture, and the Department of Entomology at the Volcani Center in Beit Dagan, is working hard to find ways to rid the cacti of these aphids. We presume the aphids were introduced into Israel about three or four months ago and we are worried that it will spread throughout Israel. We have many of these sabras in areas all over the country and they are a very important symbol in Israel. We have to take action in order to stop the aphids from spreading. The sabra cactus is part of the landscape and national heritage of Israel. Hundreds of years ago, it was brought into Palestine for the dye derived from the insects that feed off the plant’s sap. Later, the cacti were used to create a natural fence around a village or property to define borders, keep animals in and people out. Most importantly for Israelis, they are the source of the term tzabar, “sabra,” used to describe Jews born in Israel, as well as their characteristics. 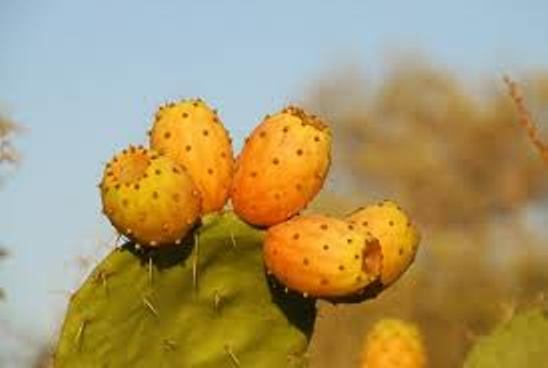 The origin of the word, Sabra comes from the Hebrew word for the cactus fruit, Tsabar. Israelis are often compared to the Sabra fruit, which is hard and prickly on the outside, but soft and sweet on the inside, suggesting that Israelis are rough, tough and rude on the outside, but once you get to know them, they are warm and kind and welcoming. The first step in stopping an invasive species is to locate the history — where it started and how it has spread — and our aim is to eradicate the insects before they spread further. This is only the beginning, but right now we are trying to stop the damage either by mechanical means [cutting the affected plants] or by spraying. However, we know for sure that we will not be able to eradicate all the insects in this way, so we also need to get ready to import the aphids’ natural enemies from abroad so they can eradicate or, at least, lower the population of these aphids. 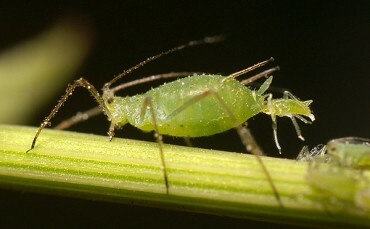 The team, headed by Professor Zvi Mendel from the Volcani Center, is working under the strict regulations of the Plant Protection Services in the Ministry of Agriculture to make sure that when they import the natural enemies of this aphid, officially known by its Latin name, dactylopius opuntiae, they don’t become a problem for other plants in Israel as well. We are working with full permission of the Plant Protection Services and in collaboration with researchers from the Volcani Institute, and we will make sure that everything we do follows the regulations. We have rich experience in importing natural enemies. We have done it in the past with other insects that invaded Israel and we will not release the natural enemy until we are sure that it will only attack the insects that are attacking the Tsabar. JNF foresters are not only in charge of Israel’s forests, but of ecosystems all over the country. Brand believes his department can make a major contribution towards stopping the invasion, but knows they have to tread carefully where natural enemies are concerned. We are not starting this research from zero, so we don’t believe there will be any problems. In Mexico and other countries, researchers have already identified the natural enemies. But even so, if you import any kind of insect into Israel and you do not examine it very carefully, it could cause damage to other plants. We know the risks are very, very low, but we still plan to put the natural enemies into quarantine for two or three years. Only after strict examination and only after we are absolutely sure that they will only attack this specific aphid will we release it into the forests and the relevant areas in Israel. But how did the aphid get there to begin with? Leaves on some Central American cacti have narcotic substances and sometimes, travelers to Central America return to their home countries with a leaf from these cacti hoping it will grow. Brand and his colleagues think that an Israeli who traveled to Central America may have brought back a leaf that had the insect attached to it. It is, of course, illegal to take any kind of plant material from one country to another, but someone obviously did it and now the consequences are enormous. This is another example of how one person’s action can cause damage to the whole country.